It is a common notion that universal design bathrooms are only for families or households with elderly or physically limited members. However, this isn’t the whole truth. Universal design refers to bathroom design that accommodates all users, no matter their age or physical abilities. Universal design is for everyone! Another advantage of a universal design bathroom is the fact that you won’t have to remodel it again should an accessible bathroom become a necessity! Preparing yourself and your home for every circumstance lets you easily adjust to changes and cater to the varying needs of your family. You might be worrying that applying all these universal design elements will make your bathroom look awkward or unattractive. However, if you work with the right bathroom remodeling contractors, you can easily come up with an overall design that will still make your bathroom look stylish and inviting. 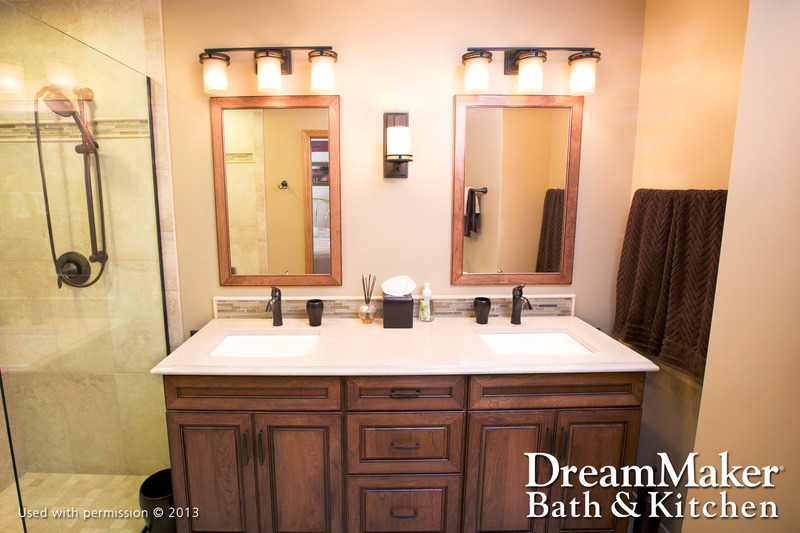 DreamMaker Bath & Kitchen of Tyler has an experienced and highly skilled team. We’re ready to work with you to design and build a universal bathroom that is not only functional, but aesthetically pleasing as well. Call us today at (903) 253-0165 or submit our online form to start a conversation! We’ll then schedule a meeting with our designer, who can better evaluate your needs and apply your preferences to your universal bathroom.